Since Jan. 25, at least 48 factories that produce auto parts and other goods for export to the United States have signed agreements to increase wages by 20% and pay a bonus of 32,000 pesos (about $1,750). This is a huge victory for the workers, most of whom make around $2 per hour. 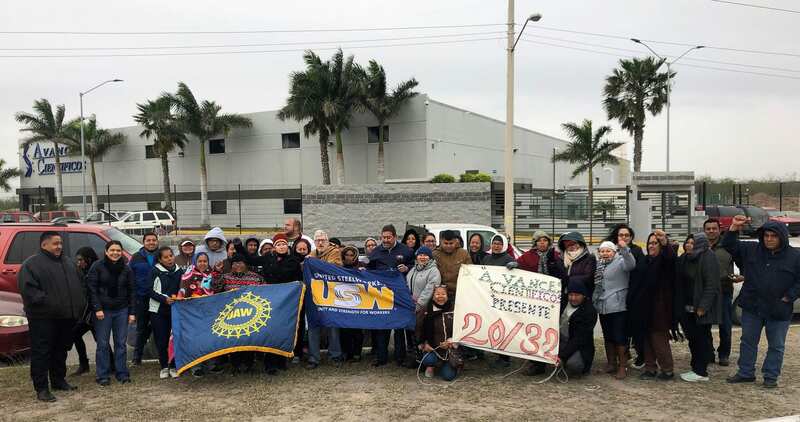 In the past week, the strike wave has spread beyond the factories to supermarkets and other employers, with all the workers demanding “20/32.” The leaders of the Matamoros unions, which historically have been close to the employers, were forced to endorse the workers’ demands. The delegation visited the picket line at Advanced Scientifics, a subsidiary of Massachusetts-based Thermo Fisher Scientifics, which produces medical supplies. Some 70 workers have been camped outside the plant 24 hours a day in near-freezing temperatures.